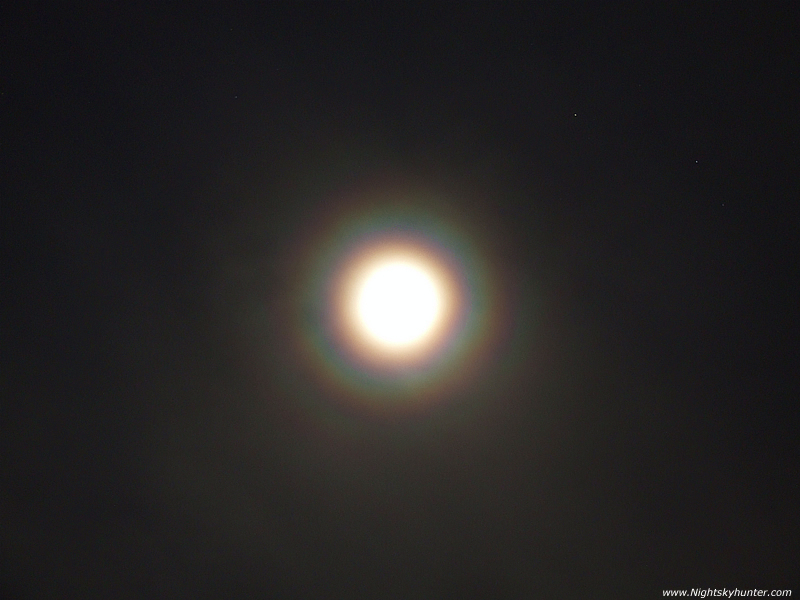 Bright and very colourful corona around the waxing gibbous Moon on Dec 20th 2007 at 19.15 UT. The Moon was within Pisces at the time. That's the stars of Aries to the upper right. Taken on a frozen December and very festive night!.